If you were looking forward to reading a long blog post all about Granville - Arkwright's long suffering nephew from Open All Hours - then I'm sorry to disappoint you. 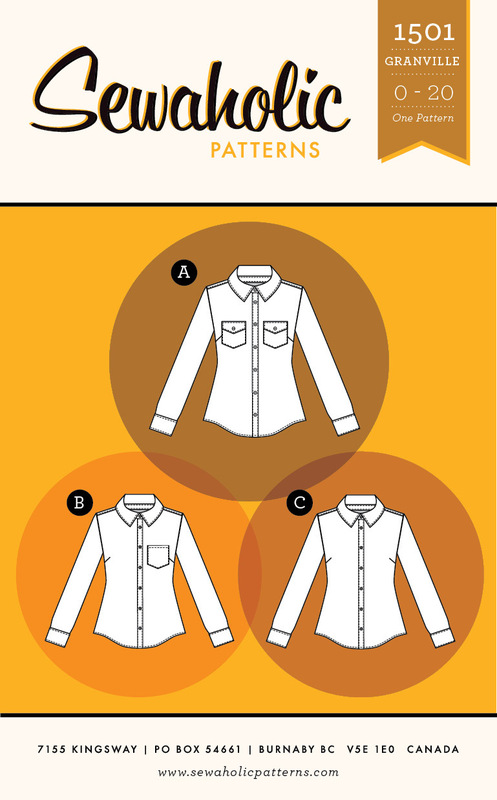 This post is all about shirt making, and one shirt in particular, the Granville pattern from Sewaholic. 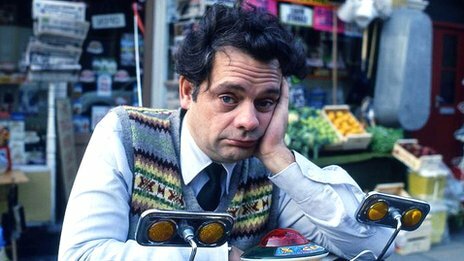 I couldn't resist adding a picture of Granville though, look at his little face! And his Fair Isle tank top! Despite admiring Sewaholic's patterns from the sidelines, I've only sewn a couple of them (the Pendrell, Renfrew and Alma). There always seems to be some little detail about their patterns that I don't like, or I don't think will suit me and I haven't actually bought one for ages. The latest releases were an exception - as soon as I saw the Granville pattern I knew it had my name on it. A classic, fitted shirt with princess seams to the back and shaping to the waist to give it the fitted look I'm always after. I bought the Granville as soon as it was released. Alice at Backstitch had also recently asked if I'd like to review some fabric, so I saw this as a good opportunity to try out a nice, crisp cotton. 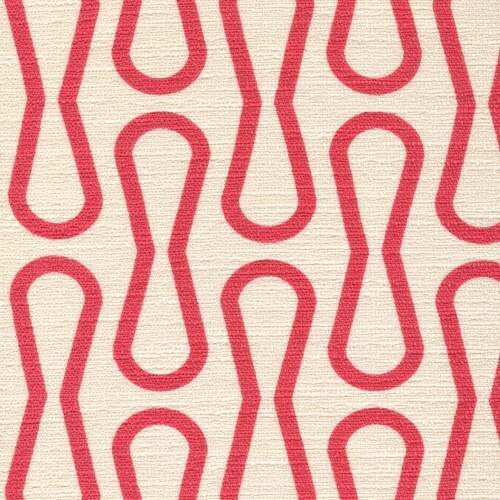 I settled on one of the Timeless Treasures Sketch fabrics in Red. 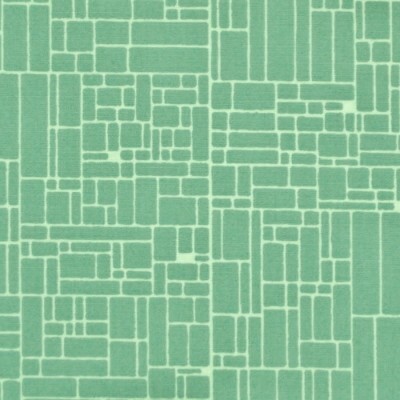 I love a crosshatch design and this particular colour has a really subtle, crosshatch finish. If you like your crosshatch a bit bolder, then Cherry might be a better choice - it's a bit more obvious. The fabric is a good match for this pattern. I wanted something lightweight enough for a shirt, but crisp enough to hold the shape of the collar and stand. It's just the right weight and washes and presses perfectly. I also like the fact that it looks like a plain red fabric, until you get closer and notice the crosshatch detail - fancy! I found the clear buttons in my button box and couldn't work out where they'd come from (maybe the sewing ghost put them there?!) Then I remembered - they were from an old duvet I'd thrown out. Not quite the classy lineage I'd imagined! When I've made Sewaholic patterns before, the fit has always seemed pretty good on me initially. I'm the opposite of the pear shape that Sewaholic patterns are drafted for, so I've always used my bust size and graded down at the waist and hips. When I'm wearing the tops, I've noticed that the bust often feels a bit tight and constricting. So this time round I took a tip from Mary over at the Curvy Sewing Collective and altered the front bodice piece accordingly. I traced a size 8 for my bust and waist, grading down to a size 6 at the hips and added a one inch FBA (full bust adjustment) using Mary's excellent tutorial. This gives more room in the bust but retains the lovely shaping at the waist and hips. I also shortened the whole pattern by an inch. The other change I made was to convert the sleeves from long, cuffed ones, to short. A bit drastic, but I just don't wear long sleeved shirts. Ever. Short sleeves are much more practical for me and the fact that I made mine without a cuff or sleeve band means I can still just about get away with wearing them underneath a cardigan. As far as construction goes, I found some areas a little challenging. I should point out that I've never actually made a proper shirt with a collar and collar stand before, I've made plenty of shirts with notched collars and flat collars, but not this sort - so it was a bit of a departure for me. The written instructions were adequate, but I would have liked a bit more direction in a few places, notably when you add the button bands and sew the collar and collar stand. I felt that the diagrams weren't that clear, and once or twice I actually found them misleading. I figured it out in the end, but it wasn't an easy process! Putting together the basic shirt, yoke and buttonbands was pretty quick once I'd worked out where to fold the front bands. The collar on the other hand, took almost an entire day to get right! Maybe it will be an easier process next time round when I know what I'm doing?! The inside yoke has a lovely clean finish - luckily I found the instructions for that bit to be perfectly clear! All the seams are pressed together and overlocked before being topstitched. It's worth taking a bit of time with your topstitching as it does give a professional finish to the shirt. especially round the pesky button bands and collar areas. Fit-wise, I'm pleased to report that the FBA was a complete success, there's plenty of room across the bust but the shirt still remains fitted because of the shaped waist. I could kick myself for not paying more attention to the button placement though. I usually use this tutorial, but decided I knew better this time round. Clearly I didn't, as there's still a bit of gaping. Gah, so annoying, especially as the rest of the shirt is near perfect! The one fitting change I'd make next time would be to move the bust dart up by about an inch. I did measure it before I did the FBA, but something obviously got lost in translation as it ended up a bit low. 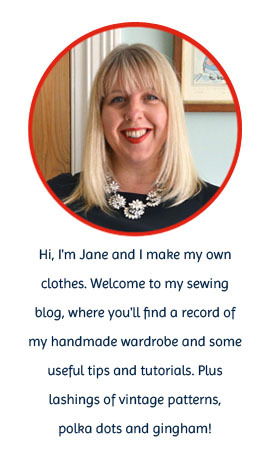 Let me tell you a story involving a lightbulb and an overlocker. No, please stay! It gets a bit more interesting than that, I promise! A little while ago, the bulb on my overlocker stopped working and needed replacing. Being the dynamic go-getter that I am, it only took me nine months to get round to ordering a new one and bracing myself to change it (I'm not practically minded). To get into the lightbulb area I had to remove a section of overlocker, which meant a trip to the kitchen to find a different screwdriver. It also meant removing the thread cones, so it was all a bit of a rigmarole. Imagine my surprise when I finally got the cover off to discover there was no lightbulb in there after all. Hmm, 'where was it?' I wondered. At that moment, just like in a ghost story, a used lightbulb rolled across my sewing desk and came to a stop by my hand. I kid you not. Where the hell had that come from??!! The logical explanation was that Jon had removed it whilst waiting for me to order a new one, so I tackled him about it as soon as he got in that night. Nope, he hadn't touched it. In fact he wouldn't DARE take apart my overlocker without my permission. I believed him. So how had the lightbulb removed itself from the overlocker??? I have absolutely no recollection of doing it. Surely I'd remember hunting down a special screwdriver, removing cones etc? Plus there was a thick layer of undisturbed dust on the back section which my slatternly housekeeping skills hadn't touched for years. There can only be two explanations. Either I'm totally, utterly losing my marbles (highly likely) or….. I have a sewing ghost!!! I really hope it's the latter, and if it is a ghost, then it's a helpful one. I could leave out bits of unstitched pattern pieces for it to sew overnight, just like in the Elves and the Shoemaker. Better still, I could leave out hooks and eyes for it to sew on! Sadly I think it's probably me getting old and having a complete memory lapse. I don't know about you, but when the weather turns cold I tend to do two things on the wardrobe front. Firstly I sew a few functional, knit garments. Then I make a trip to Uniqlo and stock up on merino wool sweaters and cardigans. This fills any gaps that might have occurred after my ruthless autumn wardrobe culling, and I can finally feel warm again. Job done. As I've mentioned before though, I find blogging about functional clothing deeply boring and try not to do it too often. I only blogged about the White Russian sweatshirt because it was a new-to-me pattern. I've always wanted to try and draft my own version of the 1950's inspired shoulder tie dress that Casey made a few years ago. I LOVE that particular shoulder detail and it will be a good opportunity to work with my bodice and skirt blocks. 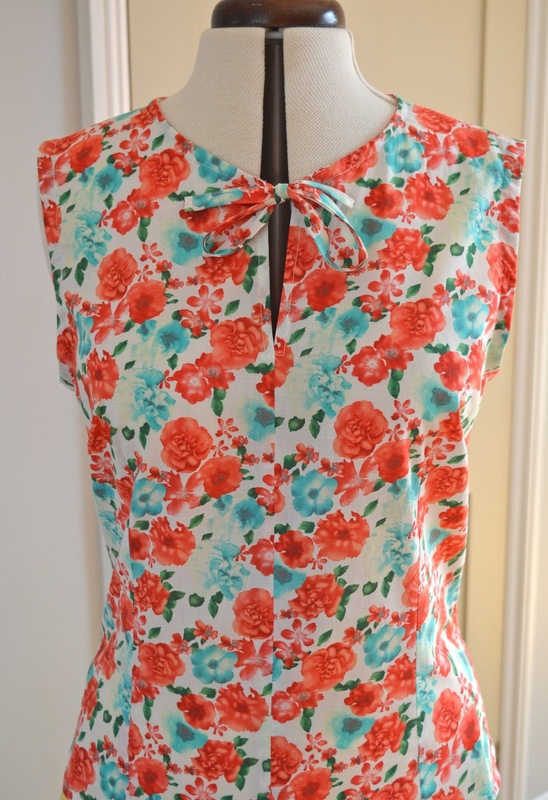 The shoulder ties are similar to the ones on this vintage pattern. 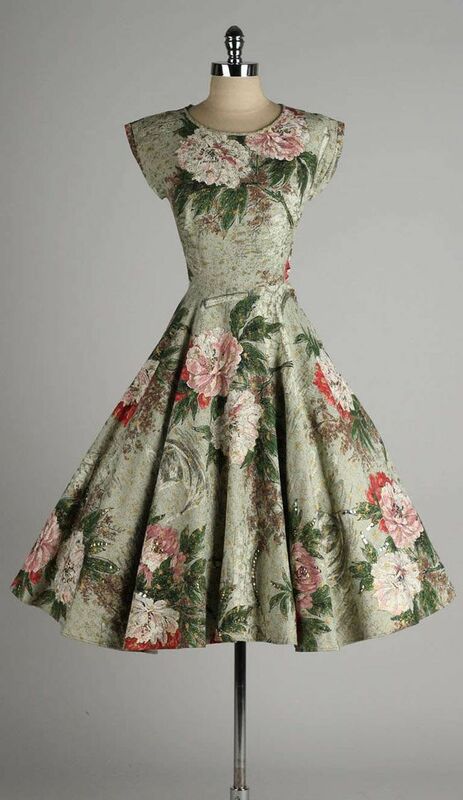 If you're interested in making a 1950's style sundress yourself, her excellent tutorials can be found here (part one) and here (part two). I think I have just enough of the pretty Japanese lawn left over from my toned down bow blouse to make a dress. 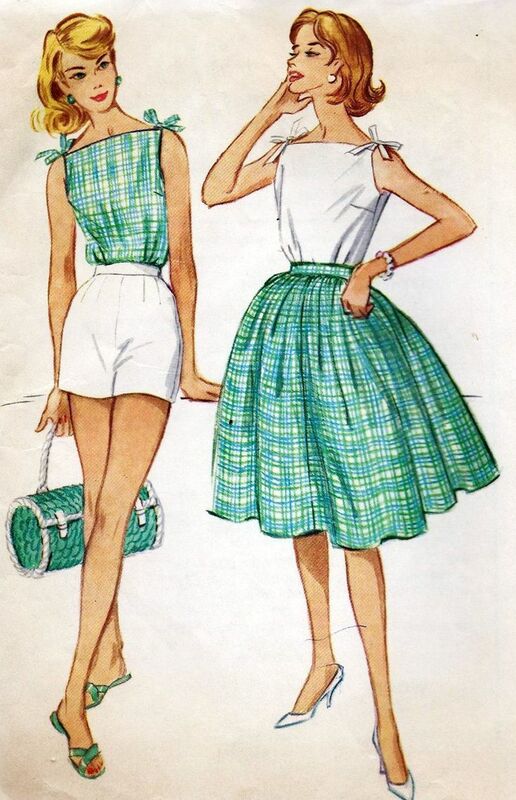 Ever since pledging to make just the one pattern for the Vintage Sewing Pattern Pledge, I've suddenly got a burning desire to sew with vintage patterns. Talk about contrary! 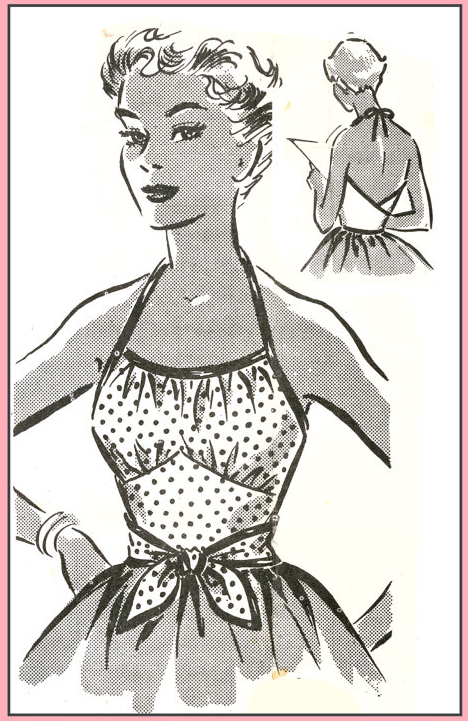 So as well as the vintage halter neck I pledged to make, I have plans to make another Simplicity 4238 using my double-sided double gauze (now there's a mouthful!) that I talked about here. My navy gingham version is about to die on me and I need at least four versions in constant rotation through the summer or I start panicking! What can I say? I love that pattern so much! 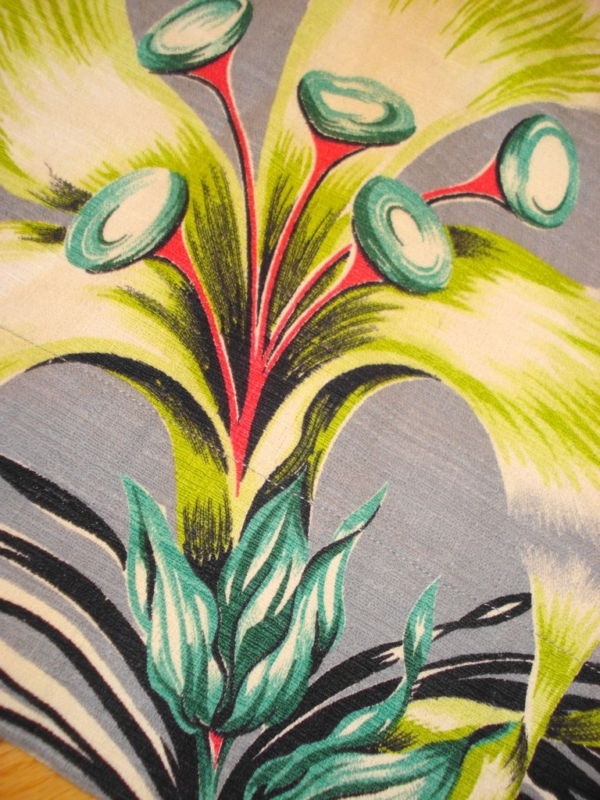 And finally I'd like to get on with a spring shirtdress using my lovely Hemingway Designs fabric. 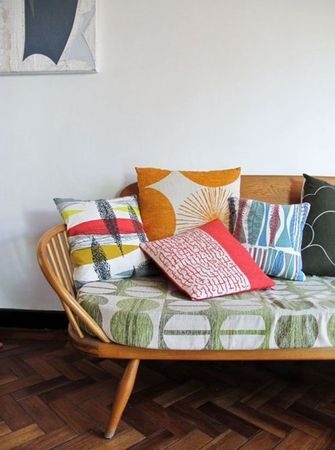 If you've got a soft spot for vintage fabrics then you've probably come across barkcloth at some point. 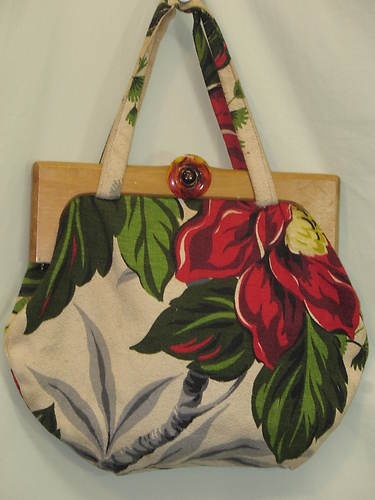 I often see it at vintage fairs and on vintage fabric websites, but have never used it or indeed owned any. 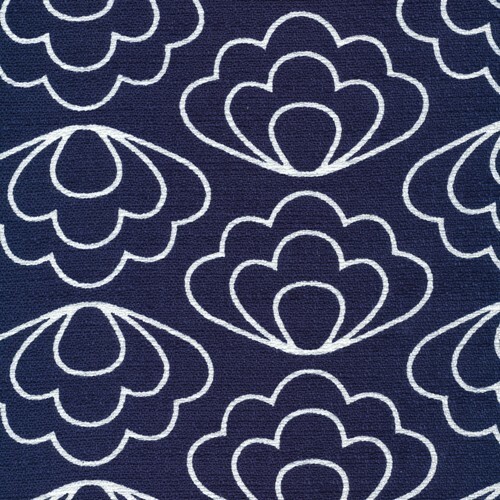 So when I saw that Annie from The Village Haberdashery was stocking a new collection of organic cotton barkcloth I really wanted to get my hands on some. 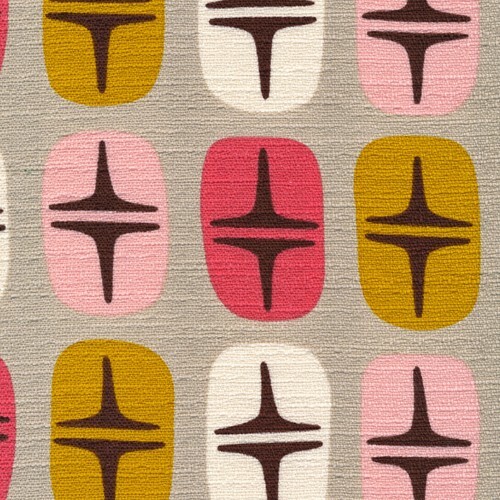 The collection is called Time Warp by Jessica Jones and is made up of four mid-century-inspired retro prints. 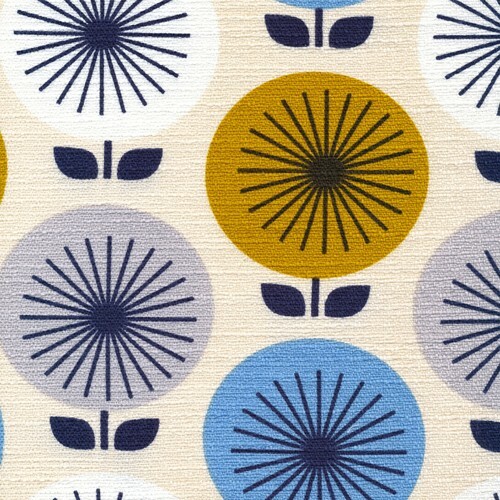 I love the patterns she's chosen for the designs, I think they look very Orla Kiely-esque and the colours are great. Annie has very generously gifted me a metre of barkcloth to review, which I'm ever so slightly excited about! Before I start working with it, I thought I'd do a bit of research, so if you're interested in a potted history of barkcloth, read on! Barkcloth in its original, primitive form was made from the inner bark of trees found in the South Pacific and surrounding areas. The bark was soaked, then beaten into a paperlike fabric which was then dyed, printed or painted. The barkcloth we're familiar with today is a cotton fabric made from densely woven fibres. It’s the texture of the cloth, rather than the fibre of the fabric itself which gives it its distinctive appearance. Barkcloth doesn’t appear to have a wale (rib) or distinct weave effect, which results in a rough, textured appearance reminiscent of tree bark. 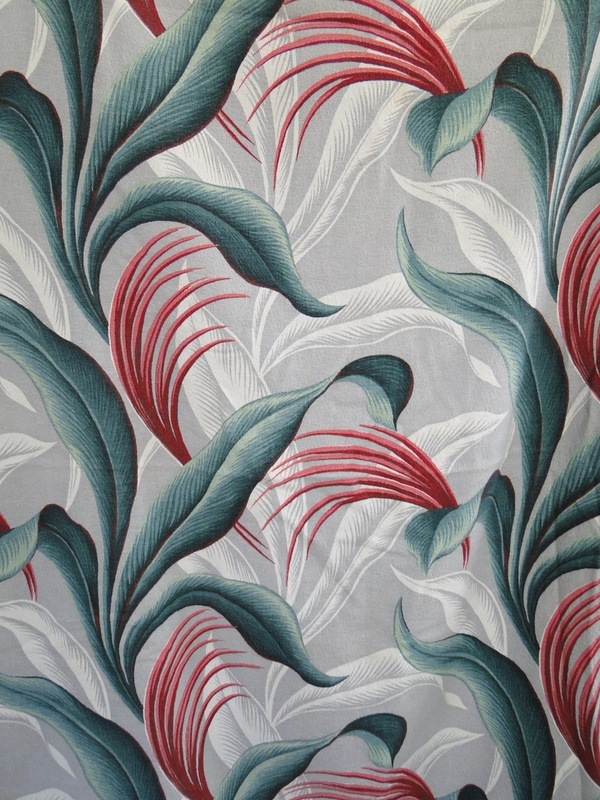 An early incarnation of the fabric we now know as barkcloth was produced in France in the 1920’s using cotton mixed with rayon. This woven cloth with a rough, nubby texture was known as Cretonne. 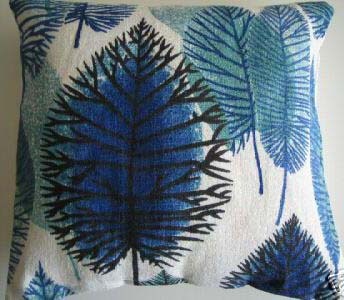 By the late 1930's barkcloth was being manufactured in America and was especially popular in Hawaii. 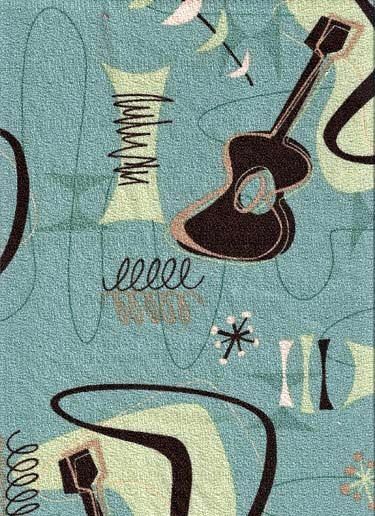 GIs and sailors stationed there during the Second World War often sent barkcloth home after seeing it used in home furnishings and shirts. 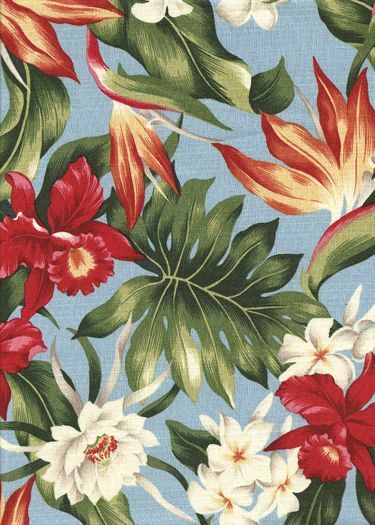 Common designs were florals, botanical prints, tropical prints (especially hibiscus flowers and other native plants) as well as geometric and abstract 'atomic era' prints. 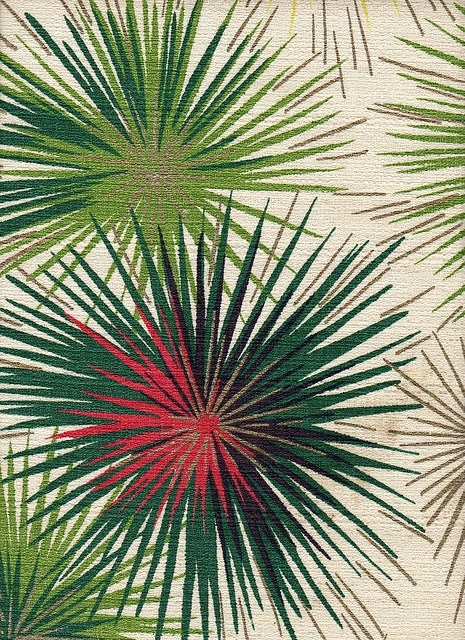 The dense weave and durability of barkcloth made it a popular choice for curtains, cushions and upholstered home furnishings from the late 1940s to the 1960s. 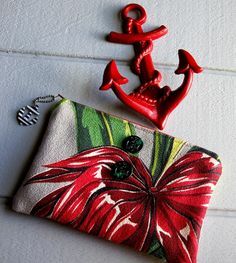 The vibrant, bright designs and durable texture and weight also make it a perfect choice for accessories. 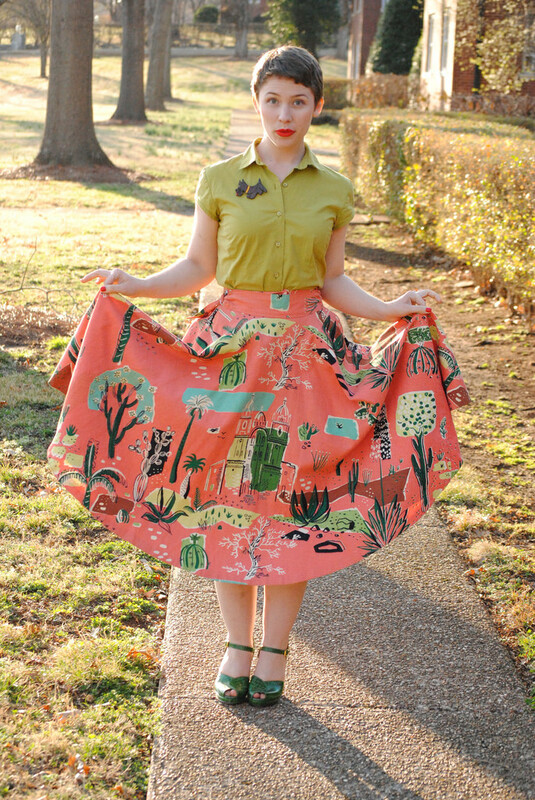 …and this skirt worn by Emma at The Fiercest Lilliputian is the perfect showcase for an amazing print. I fully intend to use my bark cloth for clothes making - a skirt to be exact. The fabric actually has quite a nice drape to it, it's just the textured appearance which makes it look stiffer than it is. I'll keep you posted on my progress. It's been COLD in London recently. So cold in fact that three layers often aren't enough to stop me whingeing. So when I saw that Emmie was selling off some sweater knit from her stash, I snapped it up. The intention was to make another Bonnie sweater, but lengthen the body a little to keep out the chill. I obviously wasn't paying attention to the description (fleecy insides, tubular knit) because when it arrived I realised it was actually a sweatshirt knit - which as we all know is a very different beast. Sweater knits for the Bonnie pattern need to have 40-50% stretch which, even yanking it as far as I could, I was never going to achieve with a sweatshirt knit. Sweatshirt knits are far more stable and bulky, with surprisingly little stretch. All was not lost however, I liked the colour - a deep, forest green - and the fleecy, warm insides of the fabric were very tantalising. I would make a sweatshirt instead. I've never made a sweatshirt before and don't own any patterns, so after perusing what was on offer I settled on the White Russian sweatshirt by Capital Chic Patterns. 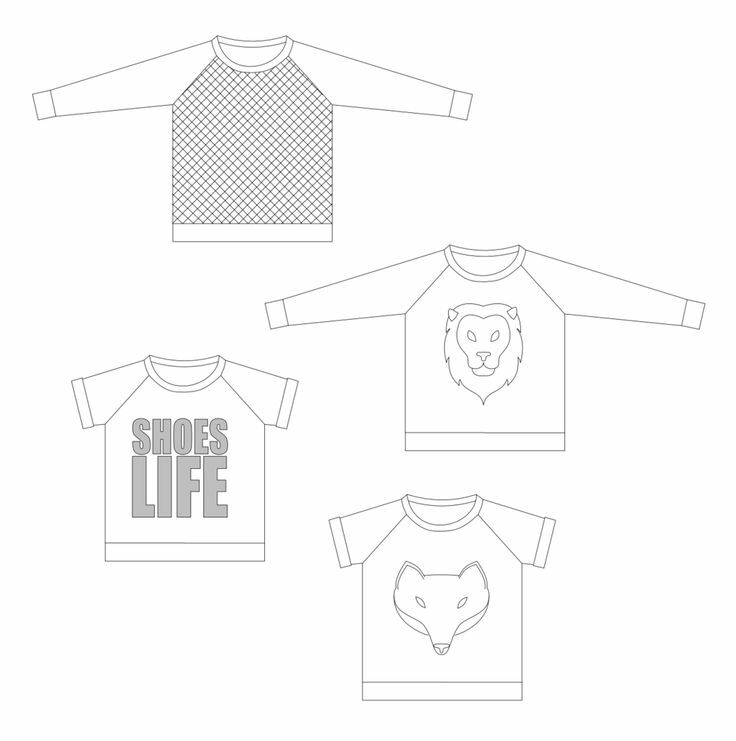 The pattern is designed specifically for sweatshirt fabric which was exactly what I wanted - no faffing around trying to guesstimate stretch percentages. The pattern also comes with suggestions to use pre-quilted jersey fabric or customise with an appliquéd initial (very, very unlikely) or one of the animal head templates included (never in a million years!). I chose my size(s) according to the finished measurements, cutting a 12 at the top and a 10 for the bottom half and the sleeves. From cutting out, the top took me just 1.5 hours to sew together. Half of that time was spent sewing up the basic raglan-sleeved sweatshirt, the rest was spent sewing the neckline, cuffs and hem bands which were a bit more fiddly. Capital Chic patterns are written with intermediate sewers in mind and this is reflected in the instructions. They're clear and to the point, bang, bang, bang, with no unnecessary flannel, which I quite liked. There's no mention of pressing anything in the version I made, the assumption being that you should already know to press seams and pieces for a professional finish. Unless you're me that is….it was only after trying to attach a cuff that curled in all directions that I realised a bit of pressing wouldn't go amiss! I fiddled with the first version and ended up totally ruining it in the process (I chopped the cuffs and waistband off which resulted in the sleeves and body being way too short, whoops!) I had plenty of fabric though, so cut a second version. This time I omitted the cuffs and waistband, just adding half an inch to the original body to allow for a hem. I also tapered in the side seams quite significantly to create a definite waist. The sleeves are the correct length when they're not twisted!